With your cursor, hover over your toolbar > Right Click > Configure Toolbar > New/Amend Button Set. Then double click it so that it appears on the right. In the top right, you can change it to a small or large icon with text too. Then click Ok > Ok. 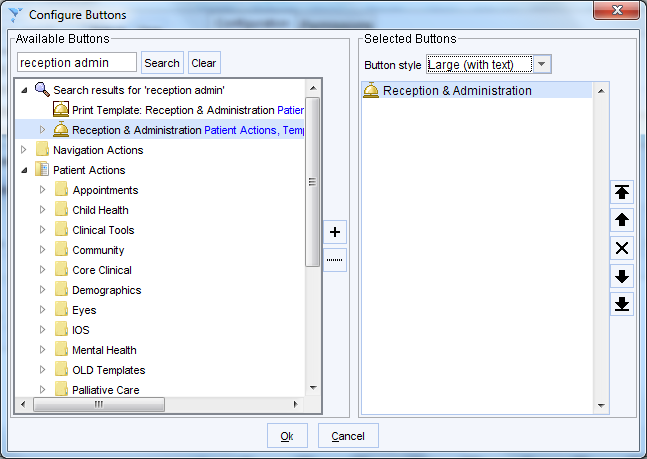 This is useful so that everyone in your surgery has the same standard toolbar. If someone has individually customised their toolbar, their toolbar won’t change.